The Pharmacy School held their White Coat ceremony at Belmont University in Nashville, Tenn. January 13, 2017. In the last month, 27 of Belmont’s College of Pharmacy students and alumni awoke to news of matching with a pharmacy residency position during the national matching process. Of the 19 Belmont students who applied for post-graduate year one (PGY-1) residencies, there were 17 matches (or a match rate of 89 percent). Of the 10 alumni in the match for PGY-2 residencies, 10 matched (match rate of 100 percent). This year’s fourth-year students and alumni matched at prestigious institutions across the country, including CaroMont Regional Medical Center, Baptist Health in Lexington, the University of Chicago Medical Center, the University of Louisville Hospital, Huntsville Hospital System, Vanderbilt University Medical Center, University of Kentucky Healthcare, Chattanooga Memorial Hospital, The Kroger Company, TriStar Summit Medical Center (2), New Hanover Regional Medical Center, Williamson Medical Center, Miami Valley Hospital, and Henry County Medical Center. Additional matches were made with VA centers in Nashville, Tuscaloosa and West Palm Beach and programs sponsored by the University of Mississippi, University of Texas El Paso, East Tennessee State University and Lipscomb University. 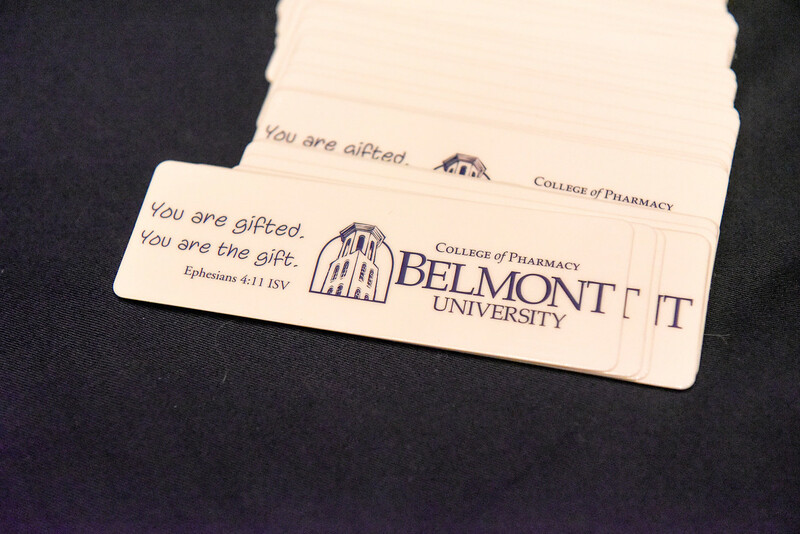 Belmont University College of Pharmacy has also been instrumental in the last three years in creating new first year residencies in the Nashville area at Rolling Hills Hospital, Saint Thomas Rutherford Hospital, Williamson Medical Center and Vanderbilt University Hospital.